You have chosen the best quick oil change center in Chico, and we appreciate your patronage. To keep your engine running newer, longer, you need to keep up with your vehicle’s most frequently needed service interval for an oil change. Lube Express is ready when you need that change with a full line of synthetic and top quality premium oils. Full synthetic and high mileage oils have been engineered to provide superior engine protection over longer durations compared to conventional motor oils. And we’ve made it easy to find the oil change priced to your vehicles specific needs based on the manufactures recommendations. Changing your vehicles crucial lubricant on a regular basis helps cover your vital engine parts and protects them from excessive friction and heat. The longer oil flows through your engine parts, the more it begins to thicken and becomes less effective against engine wear, damage and overall performance. If you don’t change your oil on a regular basis you could see permanent engine damage that could require extensive repairs or replacement. 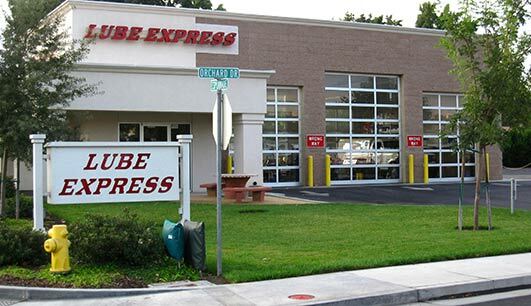 Here at Lube Express we offer several different oil change options.